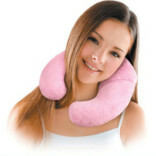 A massager is a device which stimulates the nerves for a relaxing and pleasurable feeling. It should be designed to allow you to reach most parts of your body easily without you having to adopt some difficult or fatiguing position. With the use of massager, the body part or muscle is shaken, using light to firm pressure as per your stamina. The shaking can be much more vigorous if an electronic device designed specifically for the purpose is employed. 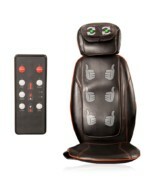 A massager can be applied to any part of the body that can receive other massage strokes. Massage is becoming increasingly popular by passing time. Many people are taking advantage of massagers on a regular basis and these people have anxiety and less stress, a improved sense of happiness and better general healthiness. 1. Relaxation:- It is noted that vibration techniques usually come at the end of a massage session, and are used to further relax and stimulate the blood flow once more before the recipient gets off the massage. The vibration unwinds the underlying muscles and creates a body-wide sense of relaxation. 2. Pain Relief:- It is recommended that using vibration massage as a method of pain relief that doesn’t involve medicines and drugs. The Vibrational massage aids in relieving painful conditions by creating numbness in the distressed area. It can also help relax muscles surrounding the painful spot, which can further decrease the pain. 3. Invigoration:- Vibration massage is also used to provide the recipient with a sense of invigoration. A massager when performed at the end of the session leaves you feeling less groggy. Light vibration can be performed before a sporting event to stimulate the blood flow and leave the athlete feeling a sense of energy. 1. Always read the warnings and instructions. 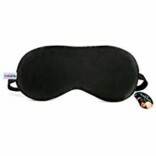 Massager, even electronic massager, has contraindications and the warnings may drop some light on these. 2. Never use these devices if you are expecting, growing old, or have any health disorder whatsoever without consulting a health care expert. 3. Do not use your massager for long duration of time. Generally there are well pointed in the warnings. 4. Use caution while using a massager on your skull. 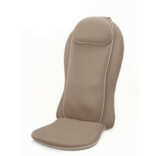 Your brain can be distress from a variety of things and using a massager on head can be risky. 5. “Magnetic Therapy” has completely no scientific support. So don’t take magnetic energy around your head and sensitive areas. 6. Never sleep with a massager on near you. When you sleep your sensitivity to pain decreases and you could be harshly injured before you wake up. 1. JSB HF01 Swing Walker Massager:- JSB HF01 Swing Walker Massager is a technically crafted machine which gives a proper workout for the full body. By imitating the natural walking exercise of a person, it gives the advantage of 10000 brisk walk steps in just 15 minutes of process. Just keep the calves of your legs on the machine, put the machine on, and feel bright with higher levels of energy and power. 2. Paramount Cervical Vertebra Retractor:- This Air Neck traction machine is made of special light weight soft latex inside has 3 separate tubes going into the 3 chambers and covered with very soft textile all cover, which make the traction much more comfortable, powerful, and stable. 3. Bremed Vacuum Massager BD 7300:- Bremed Vacuum Massager is a therapeutic Massager that improves your wellbeing and beauty management. The massager offers vacuum therapy which comprises cellulite skin, localized adipose and drooping muscles without causing any hurt or pain. 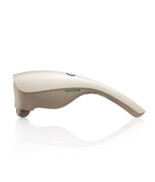 This vacuum massager is a painless technique for enhancing your physical looks and health. 4. JSB MC02 Deluxe Multi-Functional Massager Chair:- JSB MC02 Deluxe Multifunctional Massager Chair not only relaxes your body but taps, rolls and performs twin actions on your back to alleviate pain and aches. 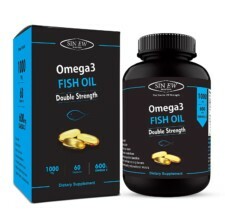 It is formulated to reduce fatigue and reinforce a healthy sleep pattern. This machine massages your complete body, from head to foot. In Today’s hectic and busy life a massager is like a blessing in disguise because when you undergo a massage session you’ll undergo mental and physical changes like your muscles relax releasing pent-up tension both physical and emotional. Your brain releases a host of feel-good endorphins and your body produces more white blood cells which help combat disease. If you haven’t tried a massager there’s no time like the present to get started on a healthier and a happier life.